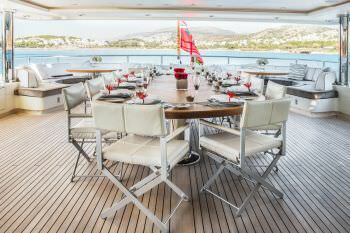 Built for entertainment and comfort superyacht LIGHT HOLIC has spacious and well laid out outdoor entertainment areas perfect for corporate events, al fresco entertainment or smaller intimate social gatherings. 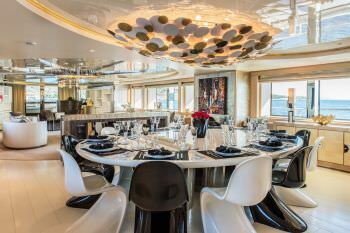 The striking upper and main decks offer multiple dining and lounging areas for relaxed or formal occasions. 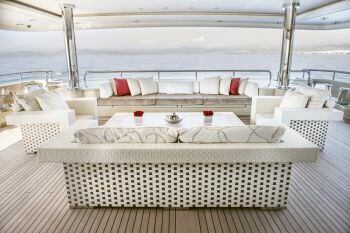 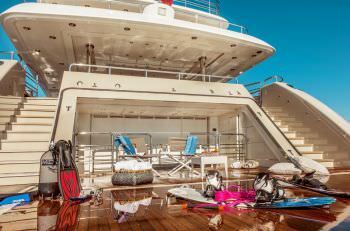 Her sundeck offers a Jacuzzi, lounging areas and a bar. 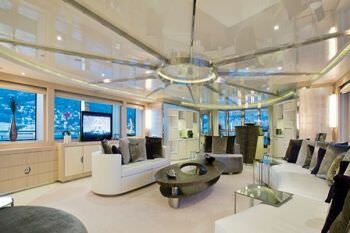 Each deck can be reached courtesy of a glass elevator which runs through all decks. 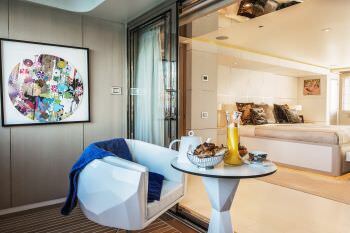 The beautifully appointed full-width owner’s suite which is located on the main deck enjoys a private terrace. 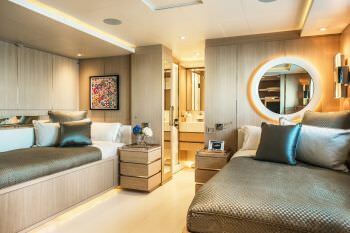 There is a presidential suite on the upper deck and three doubles and a twin on the lower deck all with entertainment centers, Samsung television screens and en-suite bathroom facilities. 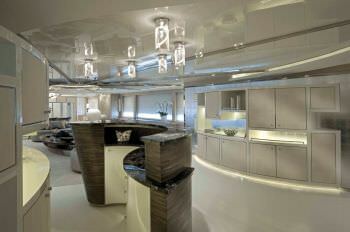 She is built with Steel hull and Aluminum superstructure. 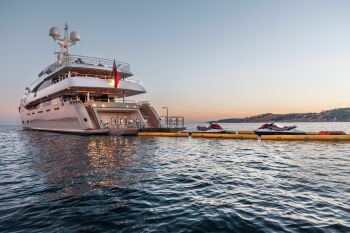 Twin 1,500hp Caterpillar diesel engines offers a cruising speed of 14 knots, a maximum speed of 15.5 knots with a range of 4,800 nautical miles from her 117,000litre fuel tanks while zero-speed stabilizers increase onboard comfort at anchor and on rough waters. 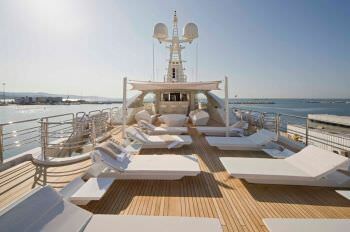 She is also capable of carrying up to 15 professional crew onboard to ensure a comfortable luxury yacht experience. 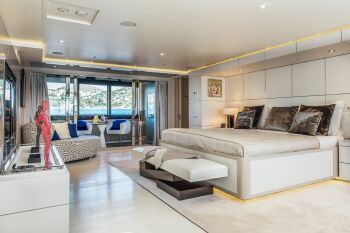 Every inch of the LIGHT HOLIC yacht has been meticulously finished with timeless styling, beautiful furnishings and sumptuous seating, styled by Alexandre and Cristina Negoescu. 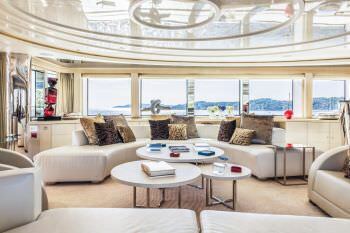 The overall feel of the yacht is minimalist but despite her pristine finish, LIGHT HOLIC remains relaxed and inviting to create an elegant and comfortable atmosphere. 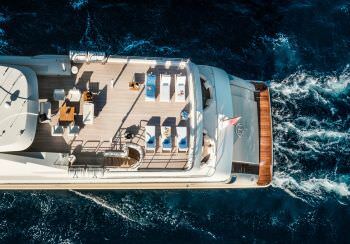 LIGHT HOLIC is a 60m (196ft) CRN Ancona Motor Yacht built in 2011 (refit 2014) accommodating 12 guests in 6 cabins with Captain ( crew) offering yacht charters in Croatia, Greece, Turkey, Spain/Balearic Islands, Italy, Naples, Sicily, the French Riviera, Corsica, Sardinia. 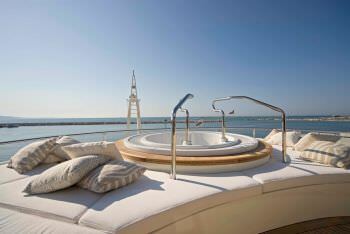 Summer Sailing Area: Croatia, Greece, Turkey, Spain/Balearic Islands, Italy, Naples, Sicily, the French Riviera, Corsica, Sardinia. 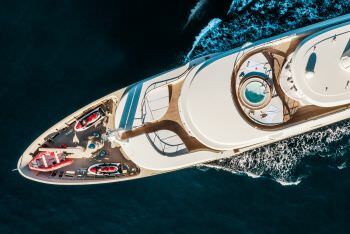 Winter Sailing Area: the Bahamas, the Leewards Islands, the BVI, the USVI, the Windwards Islands, the Indian Ocean, Red Sea, SE Asia, United Arab Emirates. 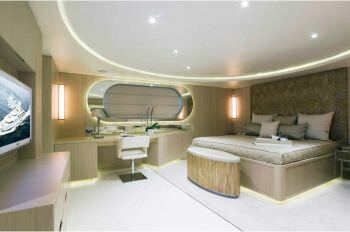 M/Y LIGHT HOLIC Yacht Charters.